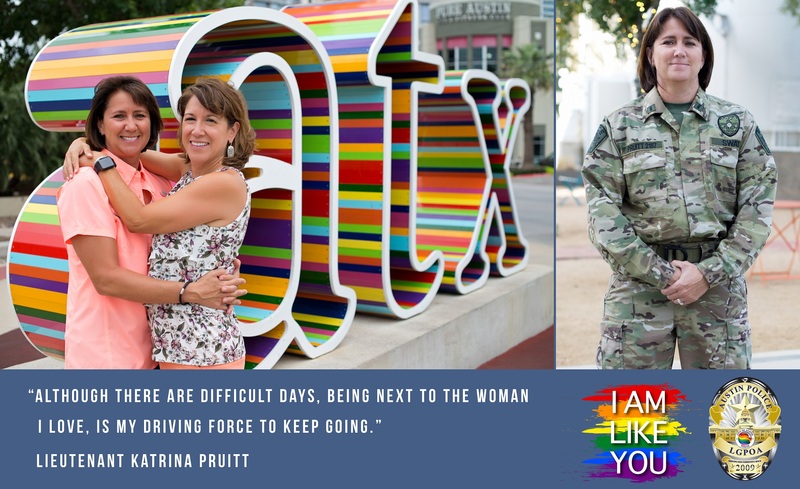 In the spirit of Pride Week, the APD, Lesbian and Gay Peace Officers’ Association (LGPOA) and Paulo Alvarado, will launch the I AM LIKE YOU social media campaign today, Thursday, August 9, 2018. The goal of the campaign is to help build bridges, acceptance and understanding between Austin’s LGBTQ community and the officers who have the privilege of protecting them. I AM LIKE YOU was created by Paulo Alvarado, a local Austin news reporter and Andres Gonzalez, a local Austin photographer. Look for I AM LIKE YOU on APD’s, LGPOA’s, and Austin Police Association’s (APA) Facebook, Twitter and Instagram accounts as well as various others.